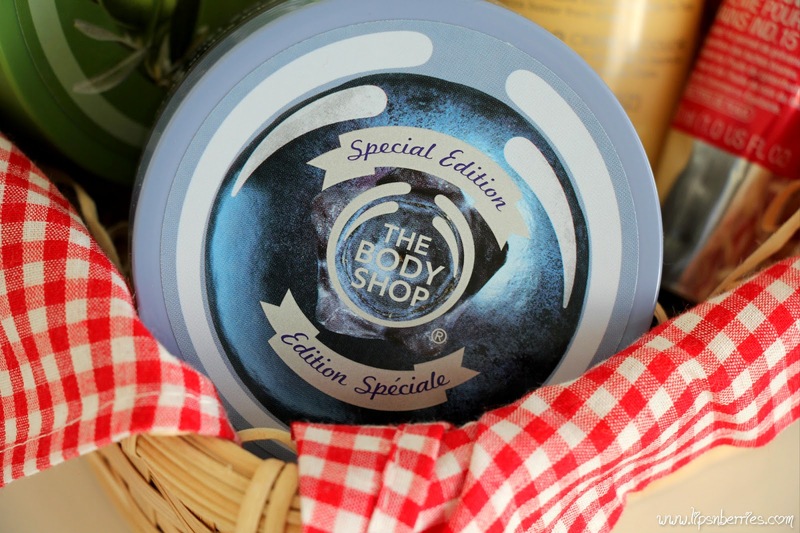 The Body Shop Blueberry Body Scrub-Gelee Review! | LIPS n BERRIES! Perks of being a beauty blogger? Friends know what to gift you. Its a narrow window - Skincare or Makeup? What caught my attention was this blueberry body scrub. I'm crazy for anything with berries (Our blog name... duhh!) so this was a love at first sight. 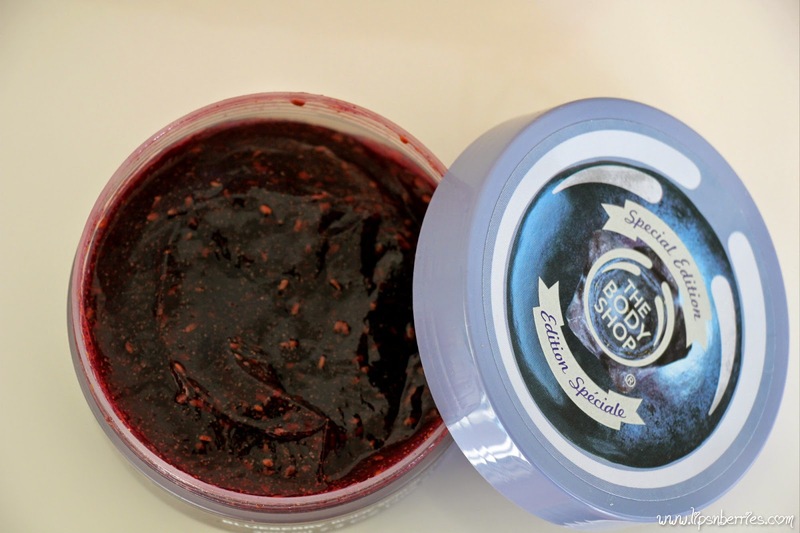 The Body Shop Blueberry Scrub is dark purple gel with blueberry extracts in it. You have to have a whiff of it! So irresistible. No wonder it has a 'Do Not Eat' sign on it. TBS says each product from this range has extract of 500 blueberries. Yummm! - The smell is beyond amazing. It's actually very calming. - The body scrub is definitely gritty. There are granules of various sizes, big one's being Raspberry seeds, smaller one's are Walnut shell powder. Its gritty but not peeling. 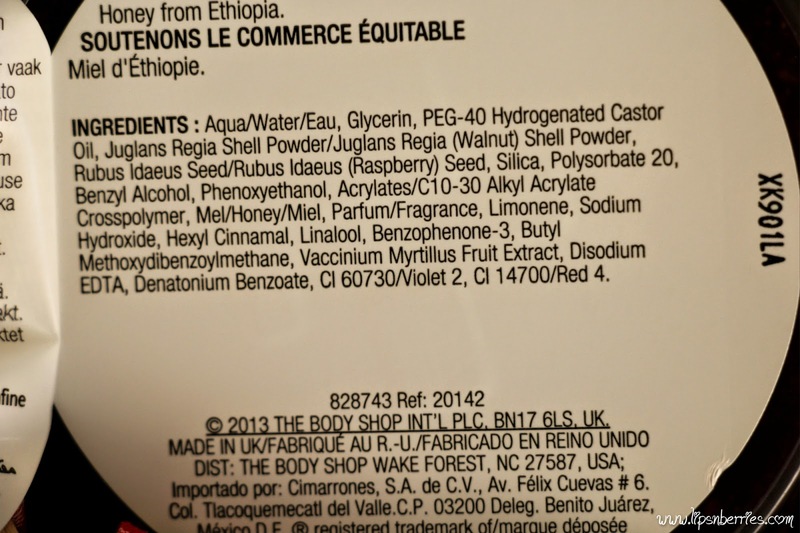 - Its a body scrub so ideally just for the body. The granules are quite big for delicate facial skin. 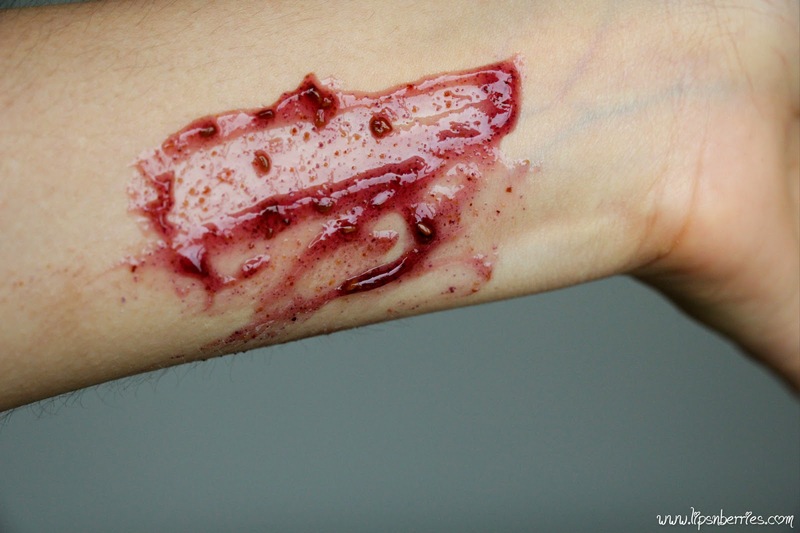 - Scrubs away dead skin cells. Leaves skin smooth to touch. Honey & castor oil make up for the moisture loss. - I tend to scrub my arms & legs once or twice a month as I'm prone to ingrown hair due to Epilation. This is so perfect for that job. - The consistency is gel like. It moves around in the container. - Tub packaging is fit for purpose, though it's impossible to not contaminate it while taking some out. I recommend a spatula. - The quantity is ample for the price you pay. Whooping 200 mls! - The packaging says 'Special Edition'. 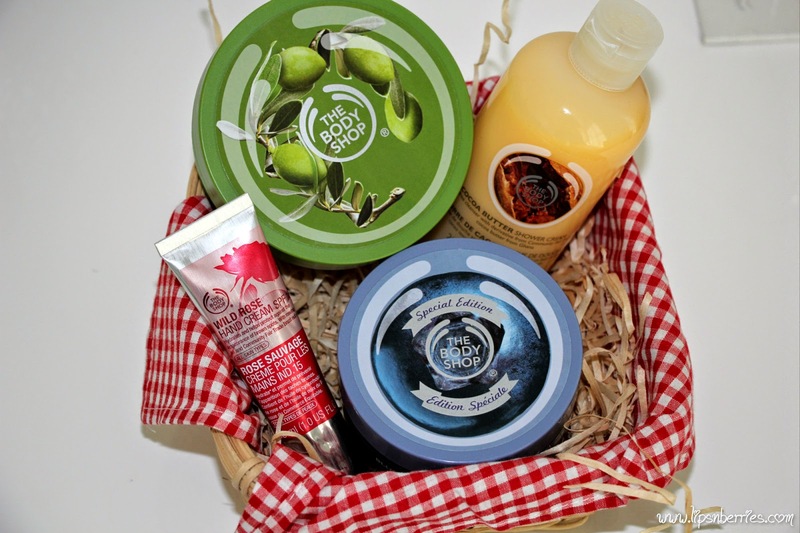 The whole Blueberry range was introduced back in April. So it's highly likely there's none left in stores. 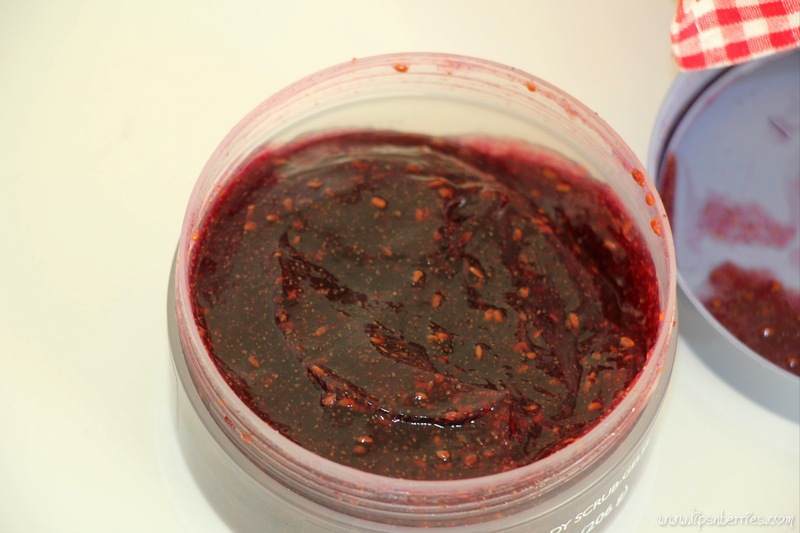 Verdict: The Body Shop Blueberry Body Scrub is a walnut scrub with raspberry seeds & blueberry extract in a gel formula. It's more like a blueberry jam, that actually has extracts of 500 blueberries in it. Blueberries are known to have antioxidant properties. It smells divine & works like any other scrub would do. Clears dead skin cells without over-drying! It's a physical exfoliant so should be avoided on face as it's quite gritty (Not abrasive though!). I did not notice any miracles on my skin but I'd keep on using it as a.) The smell b.) Helps to prevent ingrown hair on my legs. The packaging says 'Special Edition'. Lets hope they make this range permanent! Do you use body scrubs? Tell me your favorite? The good ol' St. Ives maybe?